S5 Compassion - a new destination for professional pattern in dark colors from the design studio Shape5. 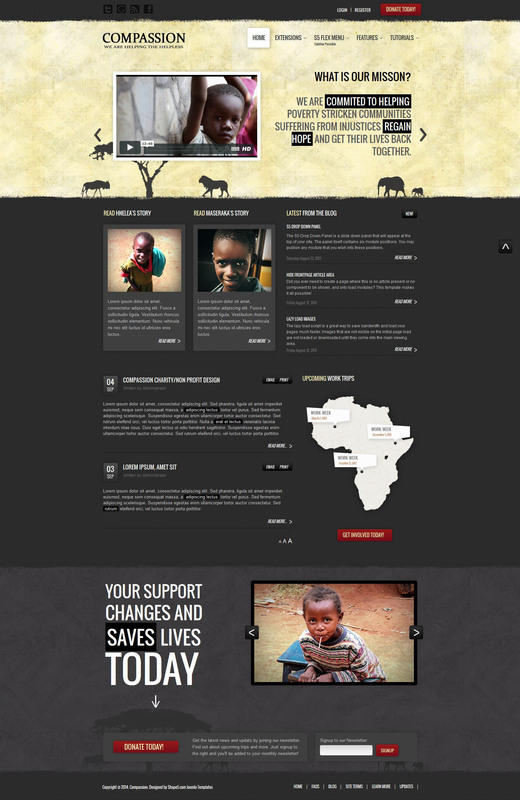 Thematically aimed at creating sites charities. Flexible design includes himself branded studio expansion S5 Image Slide, S5 Image and Content fader. Template built functional Vertex Framework, so you can easily change the background image, design and color din directly in the admin panel template. The template contains 93 module positions and 5 modular suffixes.